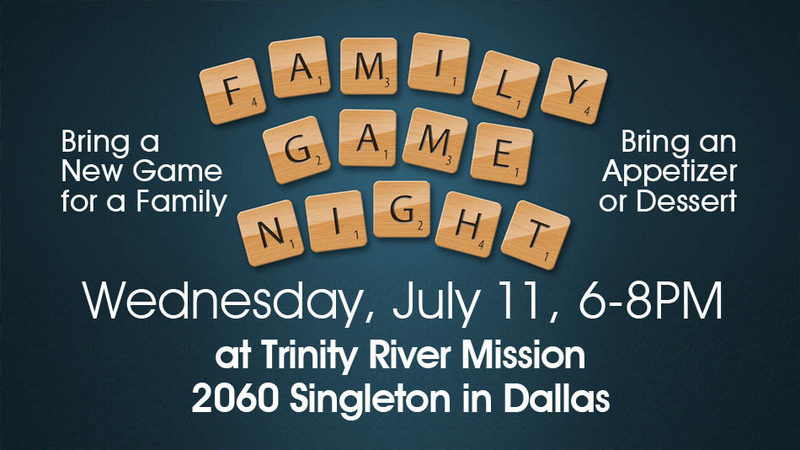 Game Night at Trinity River Mission | July 11th from 6:00-8:00 PM. Please bring a new board game for elementary and youth age to play that night and leave for TRM. Please also bring an appetizer or dessert. This is a great way to connect with your families from Christmas Family Connection. We will leave the church at 4:30 PM or you can meet us there at 2060 Singleton in Dallas. Contact Janet Hunt in the church office with any questions.